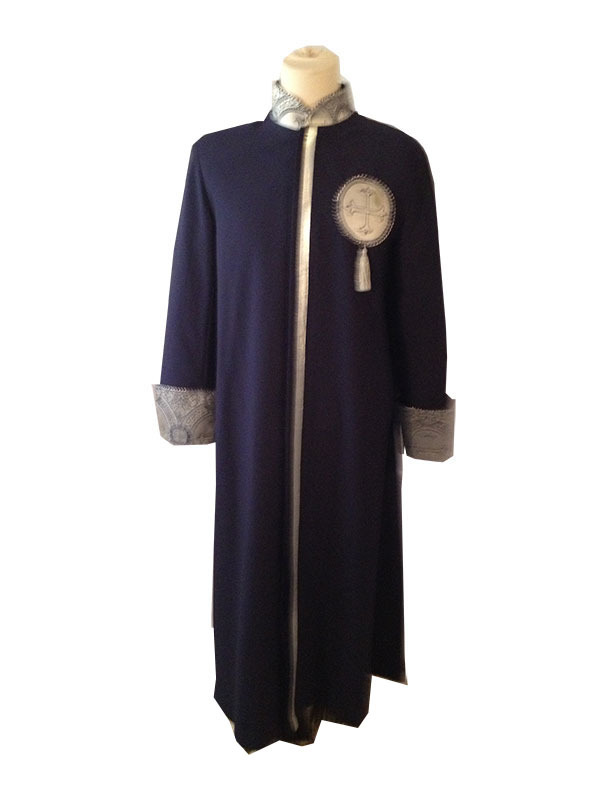 Cassock robe trimmed in silver with brocade cuffs and collar. 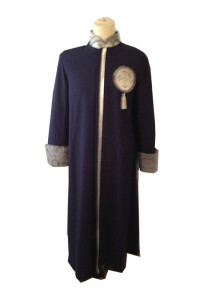 Available in purple, black, navy, white, cream and royal. Product Delivery Terms: Clergy apparel will take 6-8 weeks for delivery once measurements have been received.